This is understandable - considering all the time, money and effort that has already been expended in designing 'the perfect concept' and 'creating the Perfect mood' that will keep patrons coming back. The greatest fear is that energy saving fixtures will somehow destroy the ambiance. Much depends on the expertise of the Lighting Consultant. It is definitely not an exercise in 'selling lightbulbs'. 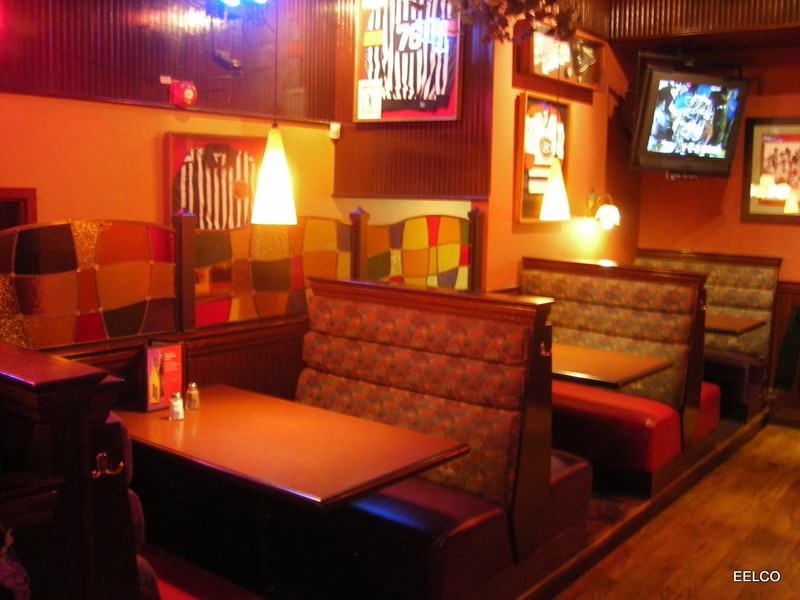 Proper energy efficient lighting actually can improve illumination...And have a positive impact on the ambiance. 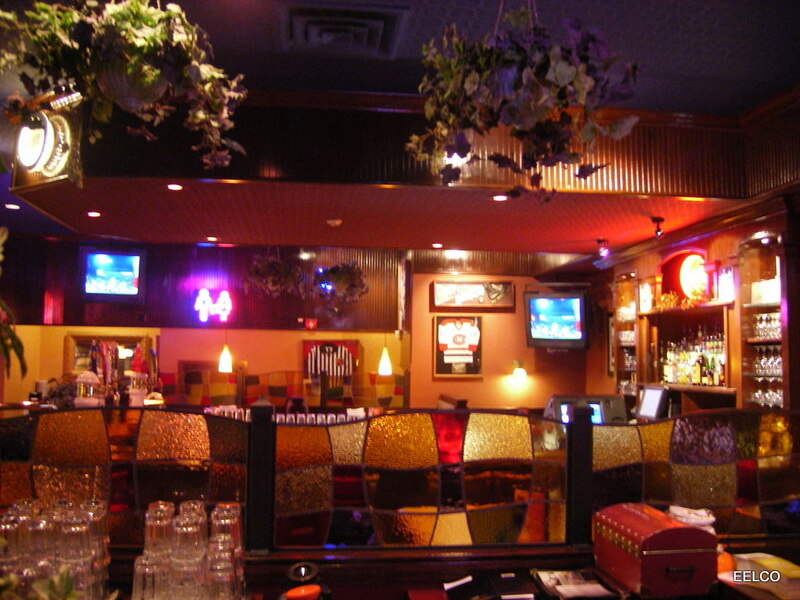 For example, a restaurant project we undertook in Nov/06 looked like this as we found it......very warm and inviting. Do you notice any difference in the ambiance? Apologies for the poor picture quality. There was a big reduction in the following Hydro Bills. Our Crew arrived at 11 PM-Closing and worked through the night effecting the 99% of the Upgrades. About 4 AM, the Cleaning Crew arrived to prepare the restaurant for the day's activities. Totally unaware of the lighting changes, one of the ladies remarked she could now see what she was cleaning on the dark carpeting. 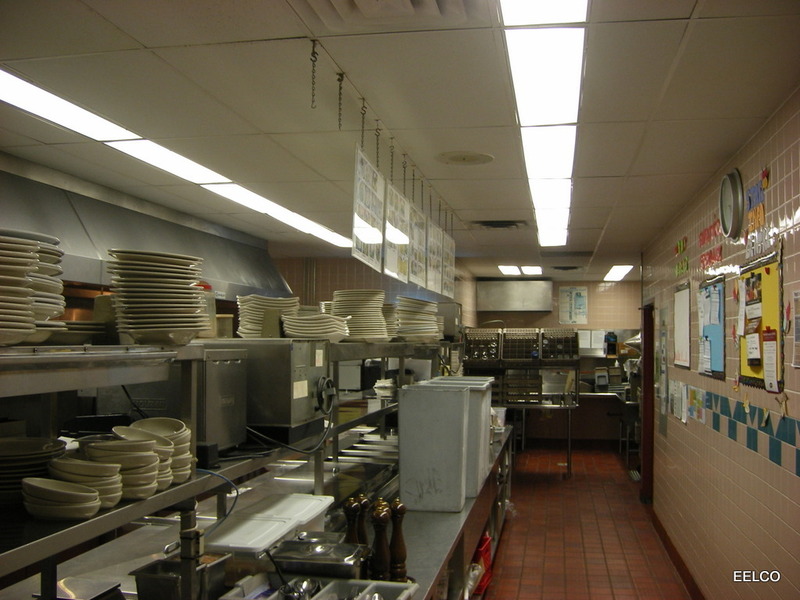 Existing light fixtures had T12-2 Lamp 4-Foot fluorescent light strips. replacing two T-12 lamps? Amazing but true. We still chuckle about the call we received later in the morning from the very concerned Restaurant-Owner when he observed this change to single lamps. He agreed as 'somehow' illumination was far superior than prior to our involvement.